I’m posting some descriptions of my past favorite trips. 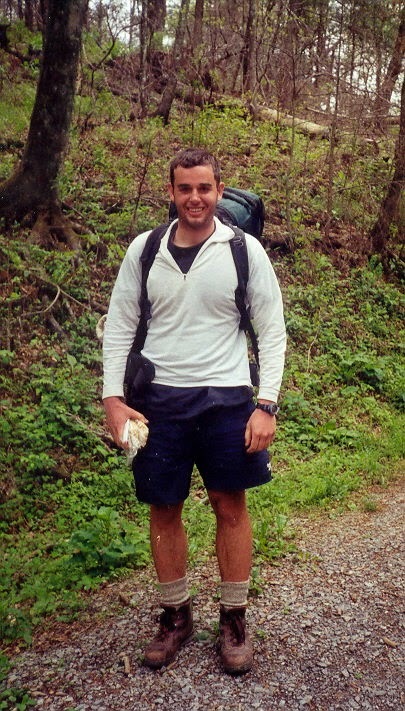 I’ll start w/ my favorite adventure of all time – the Appalachian Trail. 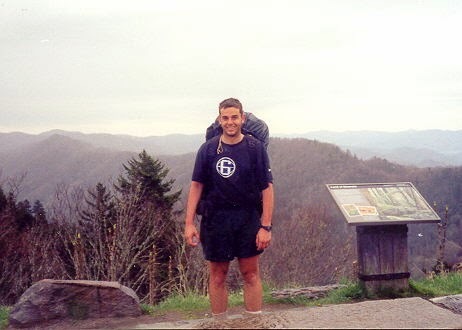 Before I enter Wharton this August, I am embarking on a new adventure – hiking ~1000 miles of the Appalachian Trail from NC to WVA. I start on Thursday, April 18. 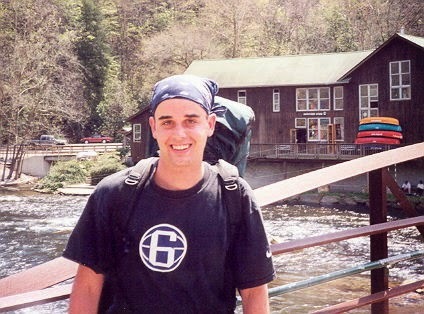 For the two odd months I am on the trail, I plan on sending intermittent emails describing my adventure. Drum roll please, below is the first AT email (to be supplemented by pictures at the conclusion of the hike). I feel like I am planning a major campaign – whether it be a wedding or a war. I need to motivate myself, whip myself into shape, and carry the right stuff. To get myself into trail shape, I hiked up and down the cliffs of San Francisco with a 50+ lbs. Backpack filled with water bottles. I felt a special kinshipwith Sylvester Stallone in Rocky IV. Eschewing high tech training equipment, Rocky prepared the old fashioned way by carrying logs, running up stars, and running in the elements. I can only hope I am as successful as Rocky was against Ivan Drago. I viewed many articles, books, and guides on hiking and the trail. This included Deliverance, which taught me some things to avoid (e.g., scary banjo players, gentlemen without front teeth, and the young Burt Reynolds). Selecting the right food and gear has been a challenge. Thru hikers burn approximately 4000-6000 calories a day, so I need to eat plenty. I ponder deep philosophical questions like, “how many jars of peanut butter do I need.” Like a bear before hibernation, I have been carbo-loading. I hope thatthese few extra pounds will serve me well. I spread all of food and gear across my parent’s family room and created a bigger mess than Christmas morning. I have an arsenal of medication including Cipro, Imodium, mountains of ibuprofen, and Sudafed. So I am prepared for any Anthrax outbreaks on the trail. Finding the right book to bring was a challenge. I wanted to bring one light enough to carry but dense enough I would not blow right through it. Selected Shakespeare tragedies won the day as I have never seriously read them (thank you Dr. Dale). I am also going to write a screenplay on the trail called the Dreaded Mocus. We’ll see how that turns out.